If you are having lot many DVDs or CDs with you and now you want to create a search window on your PC where you can search the content of your DVDs; Use DVD wallet. 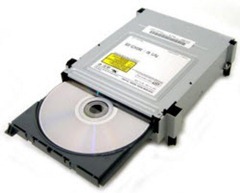 The DVD wallet will create an index of the DVD content (of course the index will not take more than 10KB memory on your machine) and you can provide a little bit of description about the DVD. That information will be catalogued on your system under the DVD wallet. You can define the category for your DVD/CD, which will be helpful in locating the DVD. This really helps me in finding the content of the DVD/CD.